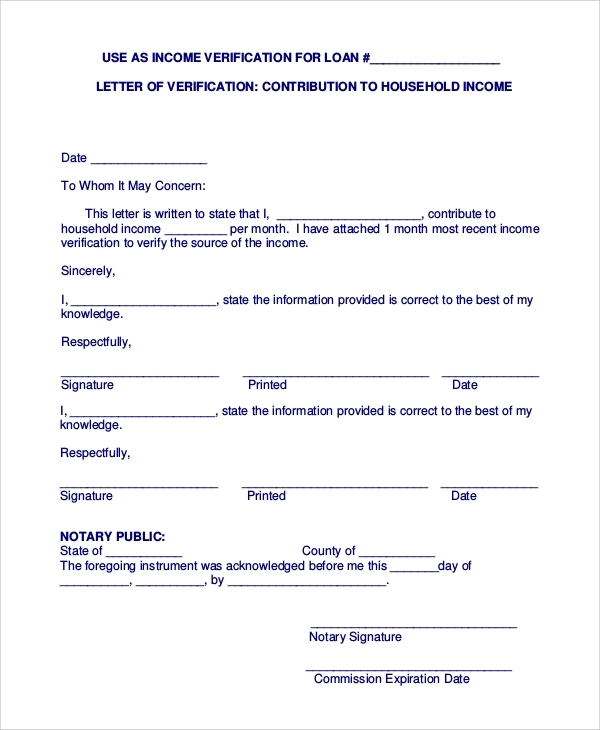 An income verification letter is a kind of formal correspondence whose purpose is to confirm or verify that a particular individual is an employee at the mentioned firm, how much they earn and other related details typically requested by a hiring company or a potential creditor. Income verification letters are extremely vital when employees want to make a major purchase on credit or apply for mortgages. Examples of Sample Letters are mentioned below. 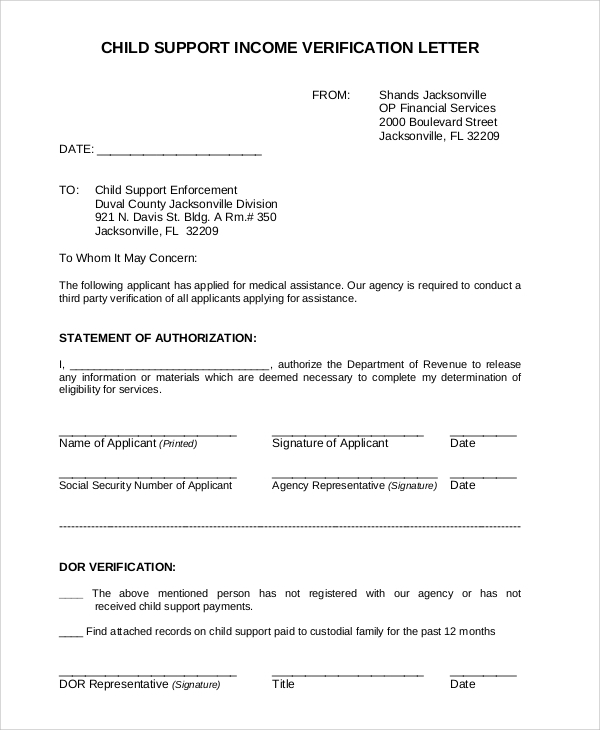 The primary purpose of the form is to enable the authorization of medical assistance requested by the applicant. 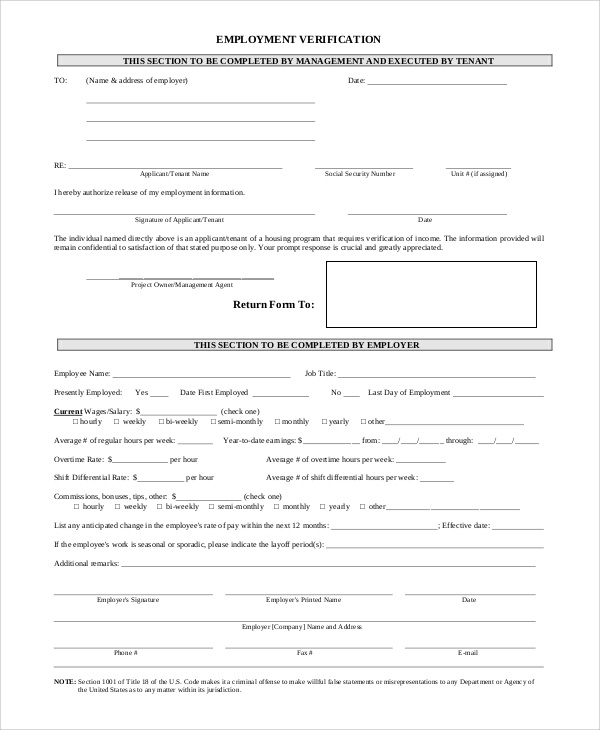 This form helps in verifying whether the applicant is eligible for the required assistance or not. 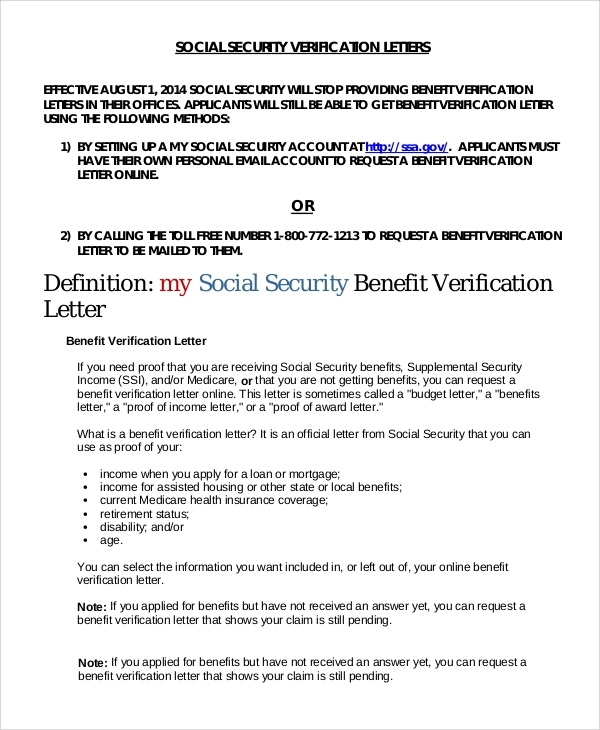 This form of income verification letter enables an individual to prove that they are or are not receiving benefits from social security. This letter can also be used as proof of housing loans, mortgages and medical health insurance. 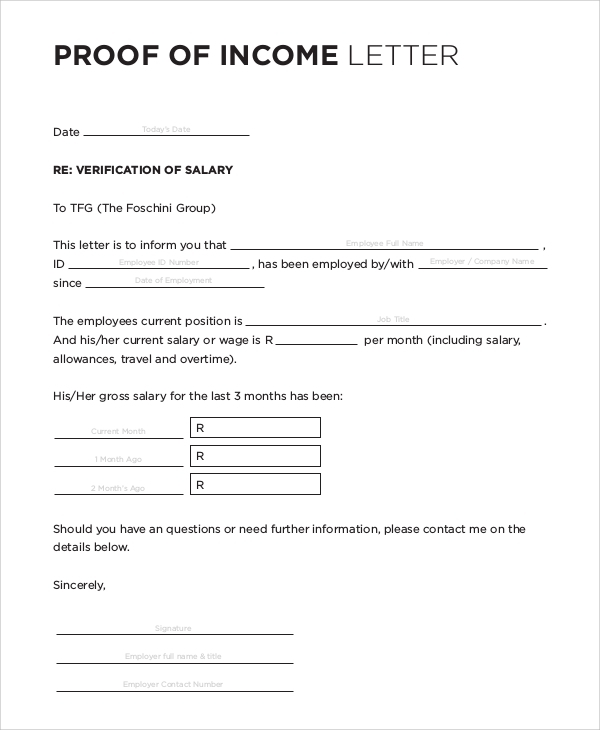 This income verification letter, as the name suggests, is written by the individual themselves because they might be working in a place where the employer might have refused to write them an income verification letter for various reasons. Employment Verification Letter Samples are essential for anyone looking for employment. 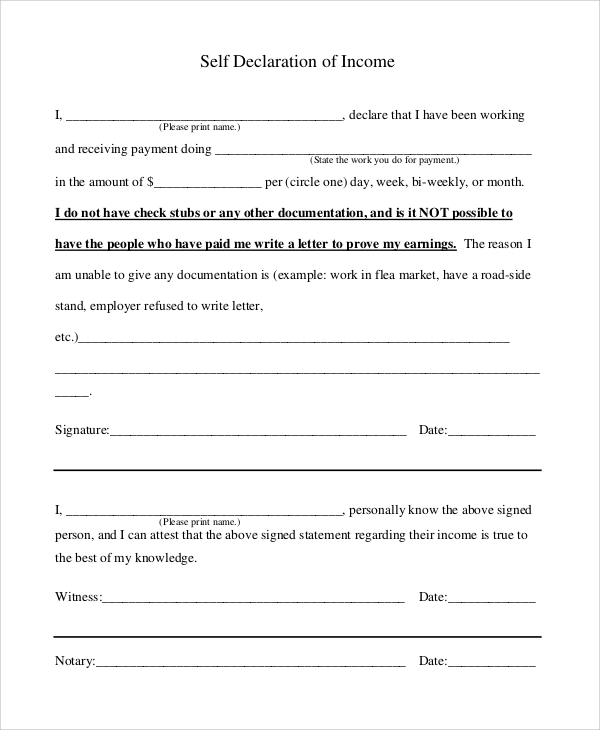 Not only does it give the people who are hiring an assurance that your previous employers were happy and satisfied with your work, but it also shows that they went ahead and gave you an income verification letter. It is proof that you spent valuable time working in an organization and that you would be a valuable asset to any firm that decides to have you. It is imperative to mention that income verification letters are mandatory for people who want to work with multinational corporations where they value loyalty and talent over everything else. 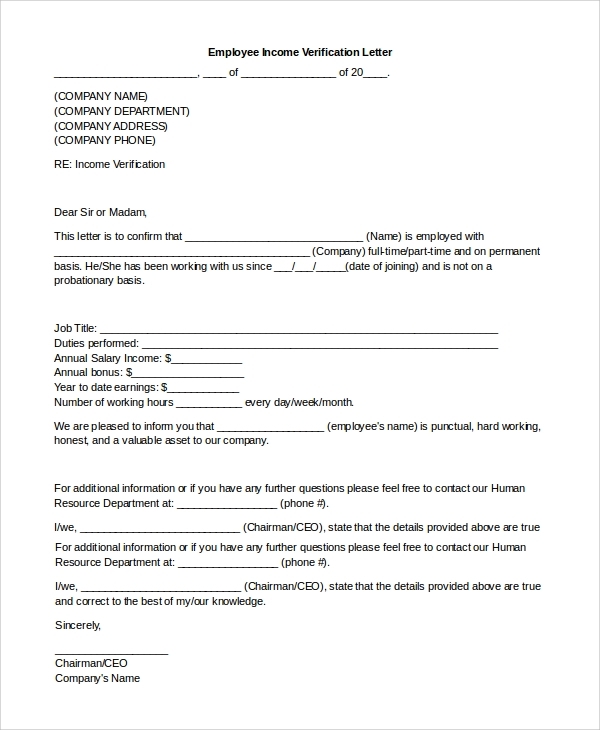 These verification letters are normally drafted by big firms whose employees need income verification letters on a regular basis. They are churned out in multiples and complaints are normally directed to the HR department. 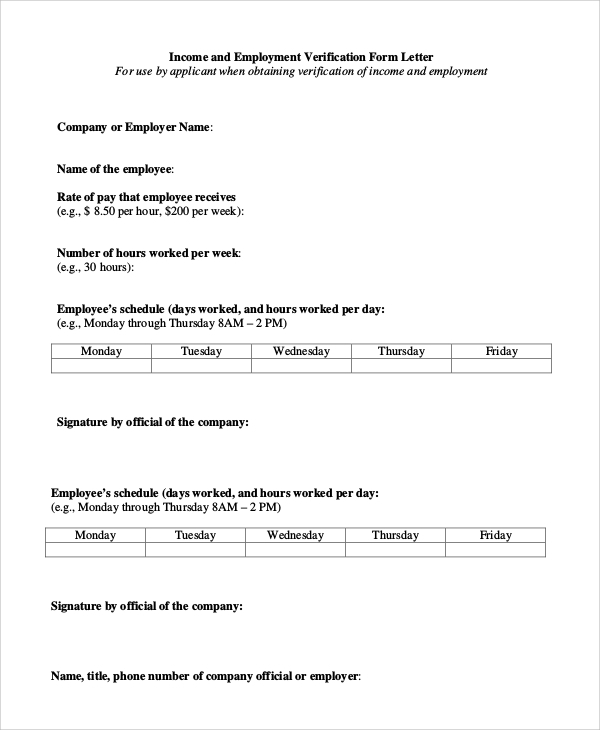 These income verification letters are precise and to the point and do not leave room for the employer to leave comments of their own., having all the relevant details regarding income. Income Verification Letters are going to be critical to you when you want to make sure that when your dream employer is looking at your CV, all they see are stellar recommendations and the aforementioned income verification letters. It is going to give them a proper idea when they offer you a package when you are hired for their organization. It is essential that these letters are written without anomalies because they are passed through a rigorous screening procedure. These letters are also proof about the benefits that you receive, or you do not receive and the status of your health and living insurance. Our Verification of Employment Letter Samples is extremely efficient and easy to use. They are written by experts who understand that time is money, and that accurately written samples are important. All these sample templates are editable and can be used according to your convenience without having to go through any trouble.